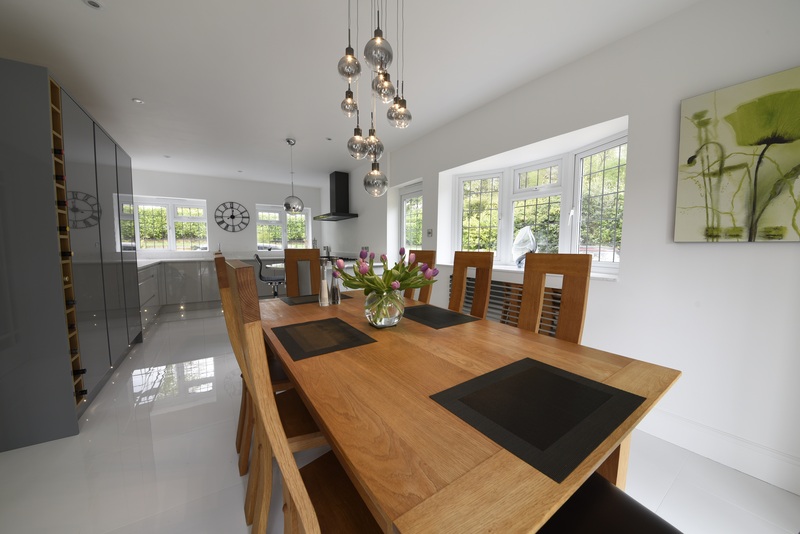 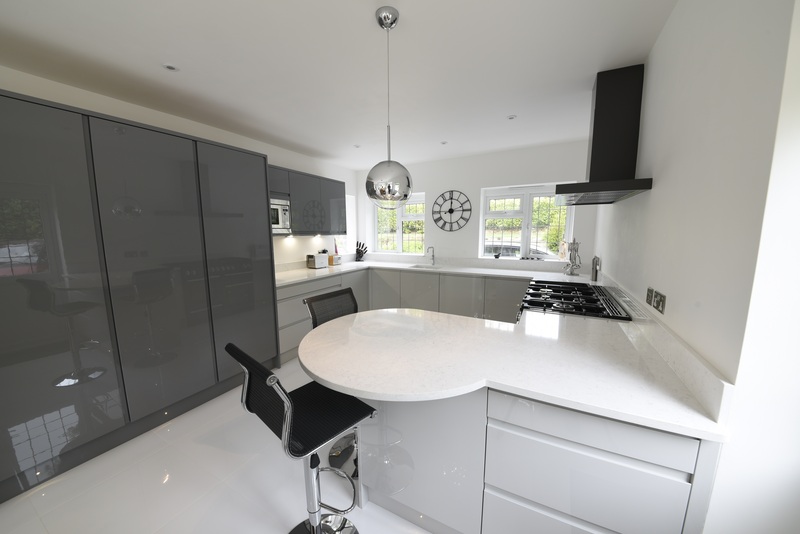 Mr & Mrs Lloyd wanted a bright and modern kitchen dining space.The chosen retailers used a combination of white gloss flooring and worktops and the Strada Gloss door range in light and dust grey to complete this look. 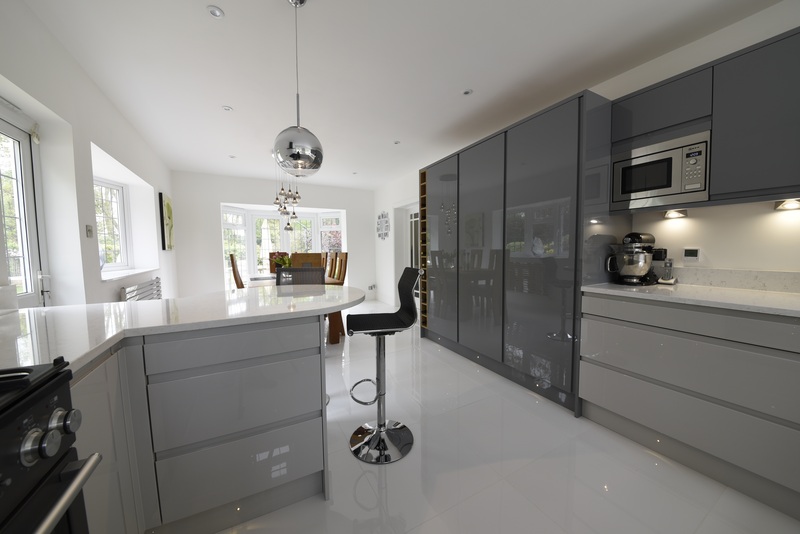 Subtle details include the oak wine unit and oak cabinets behind the gloss doors. 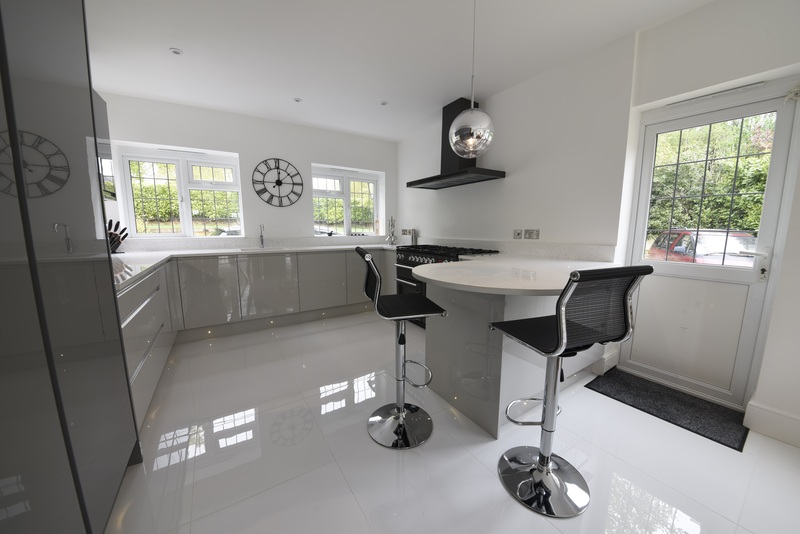 Burnhill Ktchens completed and project managed the full refurbishment including the new subfloor, underfloor heating, full electrics and full re-plaster.